My commercial refrigerator needs repair today! We get that a lot. Whether it’s coming from a phone call to our office, a text message, or an email inquiry, we feel your pain. It’s of critical importance to get the best commercial refrigerator repair for your trusted business operations. Having hot beverages and spoiled food from your commercial refrigerator requires attention from us. We offer same day service visits and repairs to resolve any issue your refrigerator is having. We go to great lengths to offer a sense of calm to all our clients by being backed with industry experience and having the right knowledge and tools for your refrigerator repair. We repair all major brands and refrigerator products including True, Metalfrio, Artic Air, Supera, Turbo Air, Viking, Wolf, and much more. Call our office and request an appointment to learn more about our appliance repair services. Share Our Refrigerator Repair Services Today! Commercial Appliance Repair for freezer repair Los Angeles is the number one choice in LA County in commercial appliance repair services. It’s a great resource for a growing number of businesses such as restaurants and corporations throughout the Greater Los Angeles Area. Our team of commercial freezer repair specialists is made of the best in the industry according to our standards. Every commercial appliance technician on board for freezer repair services are factory trained experts and carry with them years of experience on all critical appliance repair Los Angeles jobs. Having said all that, we have experience on all leading manufacturers including top rated brands such as Artic Air, Fridgidaire, Avantco, Metalfrio, True Freezer, Alamo, Summit, and many more. Share Our Freezer Repair Services Today! Our commercial washer repair technicians all have the state-of-the-art service and maintenance skills to help with any washer repair nearby. This one reason why many local Los Angeles residents and businesses have chosen us as their premier appliance repair company. It’s pragmatic to choose quality over volume and expertise over general knowledge. Our commercial washer repair team is committed to providing amazing appliance repair business support at all times. We service and repair all of the following washers including Whirlpool, Kenmore, Speed Queen, LG, Maytag, and many more. Share Our Washer Repair Services Today! Our Commercial appliance repair Los Angeles specialists have told us about their awful experience with prior appliance repair Los Angeles companies. There are so many stories regarding their commercial appliances that it’s hard to keep count. Many are new technicians ready to make a name, and others just go by the flow and try to make a living scraping by. Our appliance repair technicians treat their customer’s appliance like it’s their appliance. The diagnosis is thorough. There is a step by step method and it’s imperative that there are no steps skipped. No matter what type of appliance repair, whether it’s an industrial commercial refrigerator, Sub-Zero appliance or a Wolf oven, our appliance repair men are ready to come out and help right away. Customer loyalty is our number one priority. Call our home office at 323-457-2111 and request a repair man to come and diagnose your appliance today. Our clients love us because of our superior Dryer Repair Los Angeles service. It’s our proactive responsibility to be able to consistently offer quality commercial dryer repair services to local businesses and folks that are in need of a dryer repair. Our highly trained local appliance repair in-house customer service team is standing by to offer support and assistance. Call our commercial appliance repair department today and advice our specialists how they can help you. Share Our Dryer Repair Services Today! We offer professional commercial stove repair services that other appliance repair companies aren’t able to match. Our quality for stove repair is superior compared to our leading competitors in the Los Angeles appliance repair market. Our commercial stove repair technicians are extremely knowledgeable with regards to repair and service in the Los Angeles community. Whatever type of stove repair, our leading appliance experts will wisely apply the most effective solution for the stove repair Los Angeles appliance. We keep our operating costs low for you to offer quality appliance repair you can agree with. Your concern for your stove is our concern, and we only adhere to an industry standard of quality repair services. Share Our Commercial Stove Repair Services Today! Never hire an inexperience appliance repair service for your commercial range repair. It’s classic advice, but we hear it all the time and we feel terrible about it. There are so many great technicians and range repair specialists in Southern California that you can’t afford to hire a junior appliance repair man. If you receive a lower quote for your appliance repair including your range repair from other Los Angeles based appliance repair companies, let us know. We request that you provide us a copy of the invoice and we will verify if the estimate is within reason regarding operating costs, parts, and appliance repair labor fees. Share Our Range Repair Services Today! Our scheduling office can schedule your commercial oven repair based on what is convenient for you. We understand that you have a busy day and can’t center your life on appliance repair appointments. That makes no sense for us which is why we consistently work hard to offer flexibility in our scheduling. You can schedule an appointment for the same day or for the week or month. It’s up to you and we’re here happy to help and offer support for your oven repair. It’s our pleasure to work weekends and holidays to ensure that your oven appliance is working well and effectively. We repair on Southbend ovens, Vulcan, Bakers Pride, Blodgett ovens, Viking appliance repair, wolf appliance repair, and many more. Share Our Oven Repair Services Today! Have the ultimate appliance repair service come out and offer support for your microwave repair today. The microwave became an essential part of most households, restaurants, café shops, hotels, motels, and corporate offices. It’s a simple technology that allows you to heat soup and prepare certain frozen foods in minutes and not hours. It’s a great quick fix to eating good tasting meals in a moment’s notice. Reach out to us and schedule a free service call with repair (repair needs to be completed for free service call). Share Our Microwave Repair Services Today! We are your Los Angeles based ice machine repair specialists known for quality service and consistent, on-time completion of ice maker repairs and ice machine service. Our ice machine repair technicians service commercial appliances (and residential homes) throughout Sothern California (Los Angeles County). For many years, our team of specialists have been providing excellent ice machine repair with amazing results. The ice machine work like new is what we hear after we’re done helping. 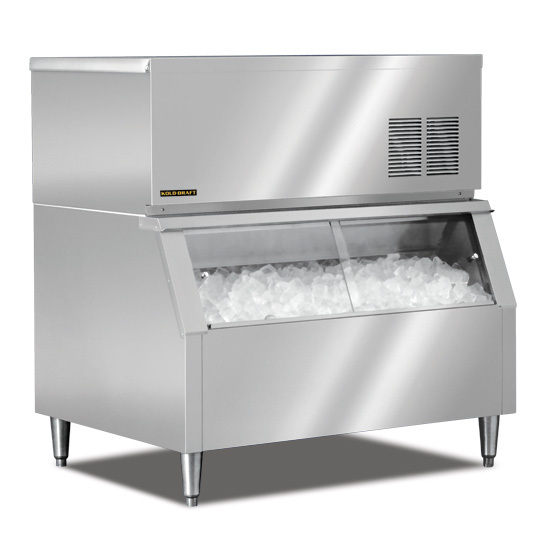 Share Our Ice Machine Repair Services Today! Dirty dishes require immediate attention. It’s imperative to call for a dishwasher repair Los Angeles technician to come to your location and assess the damages. Whether the dishwasher repair requires a diagnosis for leaking, spinning, water damage, or it’s not rotating; our technicians will arrive immediately to help you. The top rated dishwasher repair brands we repair are Fisher & Paykel, Hobart, Jackson, Jet Tech, CMA, and much more. Call and speak with one of our highly trained customer service advisor to learn more about our services. Share Our Dishwasher Repair Services Today!